A Driving School is a business that will offer Driving Lessons to those that are learning to drive, take refresher lessons or foreign residents looking for familiarisation lessons. Driving Schools will often have dedicated customer services that are able to answer the phone during working hours with staff that are trained to answer your questions. The other major benefit of a Driving School is that the individual Instructors working within the school will adhere to an operational policy and mission statement that will ensure standards are regulated. It may also offer refresher driving lessons for full licence holders that have not driven for a while or are returning to driving after a loss of confidence or ill health. Many Schools will offer foreign residents familiarisation lessons to become accustomed to the UK roads and different rules and regulations in addition to preparation for the UK driving test. Kim personally operates Customer Services and she will be delighted to answer your questions and discuss your individual requirements. 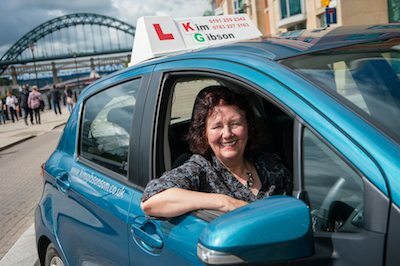 Thumbs Up Driver Training have fully qualified driving instructors and will be able to offer flexibility when matching your requirements.